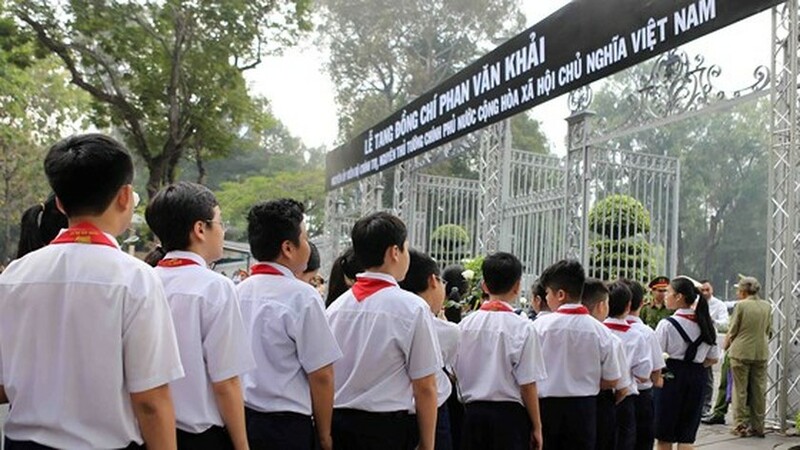 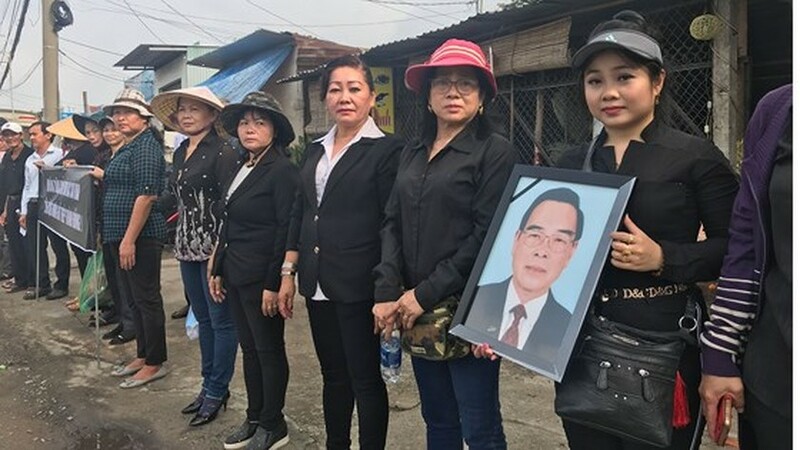 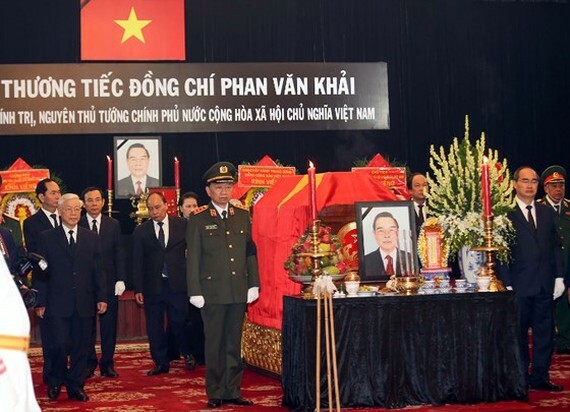 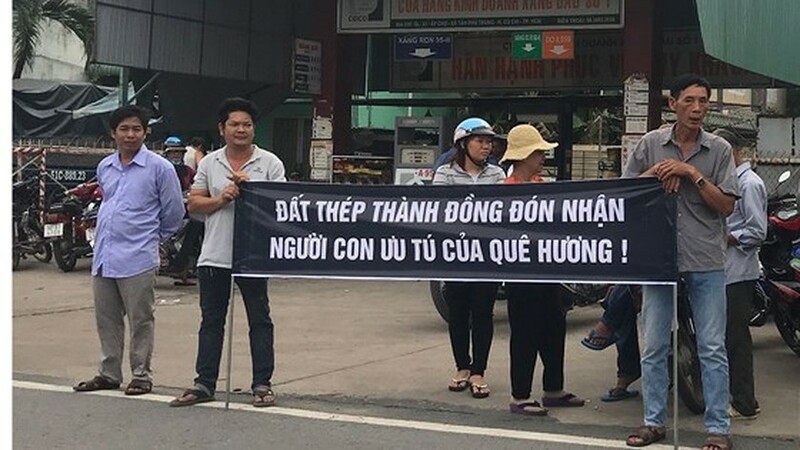 The memorial service for former Politburo member and former Prime Minister Phan Van Khai was solemnly held at Thong Nhat (Reunification) Hall in Ho Chi Minh City this morning before the burial ritual in his hometown at 11:00 am on the same day. 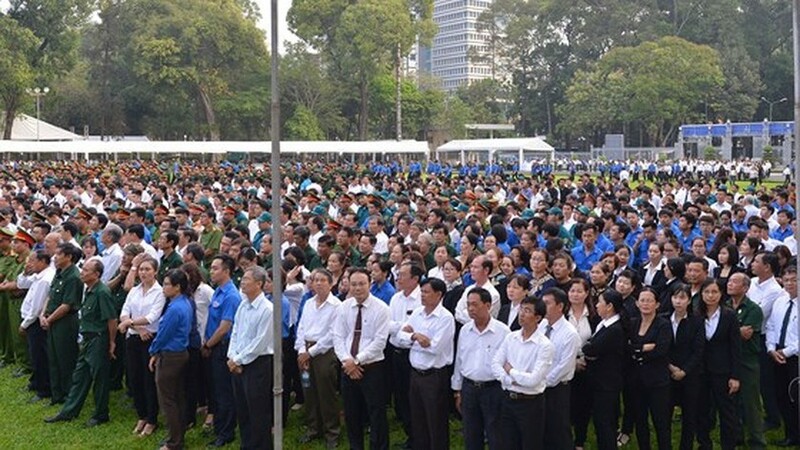 General Secretary of the Communist Party of Vietnam Nguyen Phu Trong, State President Tran Dai Quang, Prime Minister Nguyen Xuan Phuc, National Assembly Chairwoman Nguyen Thi Kim Ngan, Politburo member and Chairman of Central Committee of the Lao Front for National Construction (LFNC) Saysomphone Phomvihane, former leaders and leaders of the Party Central Committee, the Government, veterans, representatives of offices, agencies, organizations, religions, international friends and thousands of citizens attended in the ceremony to pay their last tribute to the late Prime Minister. 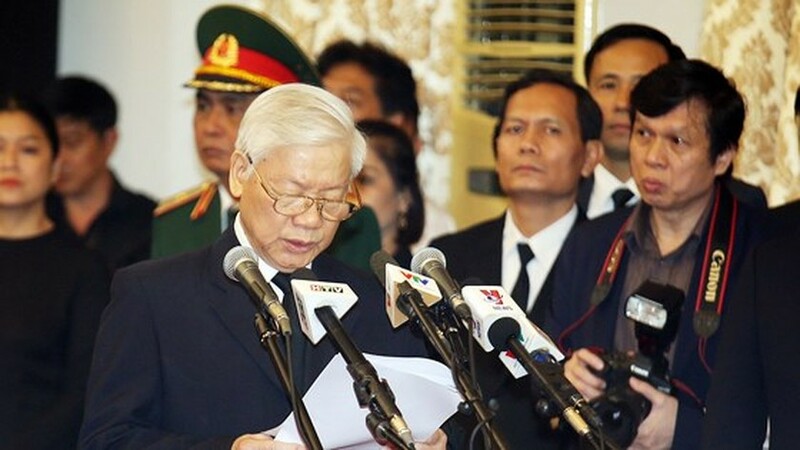 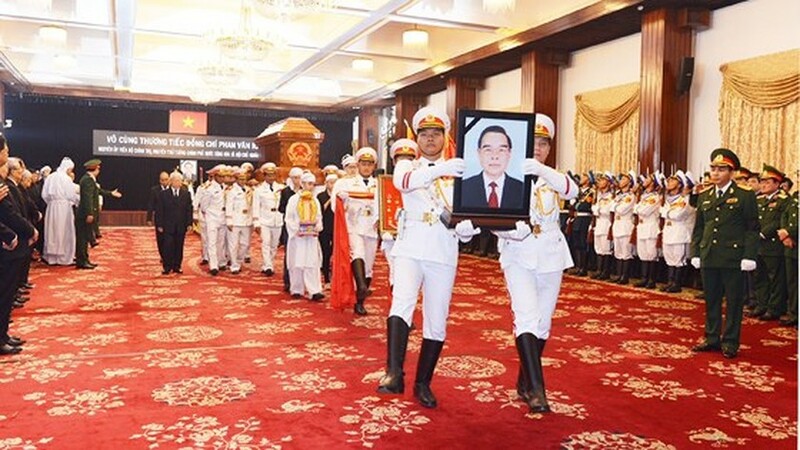 At the solemn atmosphere, General Secretary of the Communist Party of Vietnam Nguyen Phu Trong was on behalf of the Party Central Committee, State and the Vietnam Fatherland Front to deliver the eulogy, in which he reviewed the the glorious revolutionary life and great contributions of former PM Phan Van Khai. 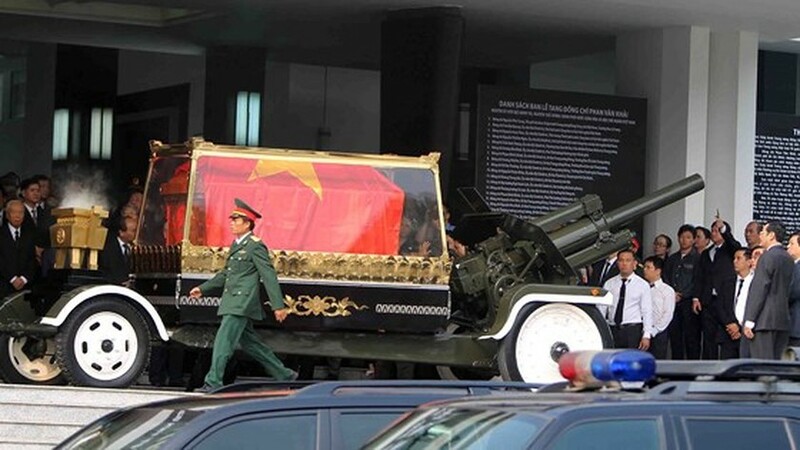 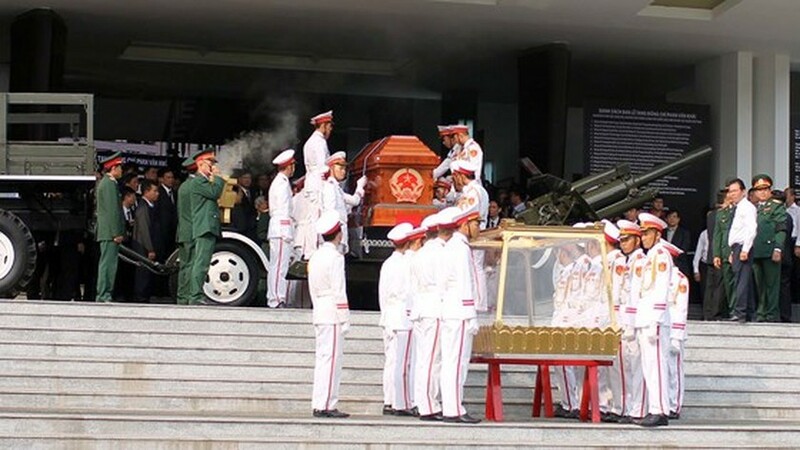 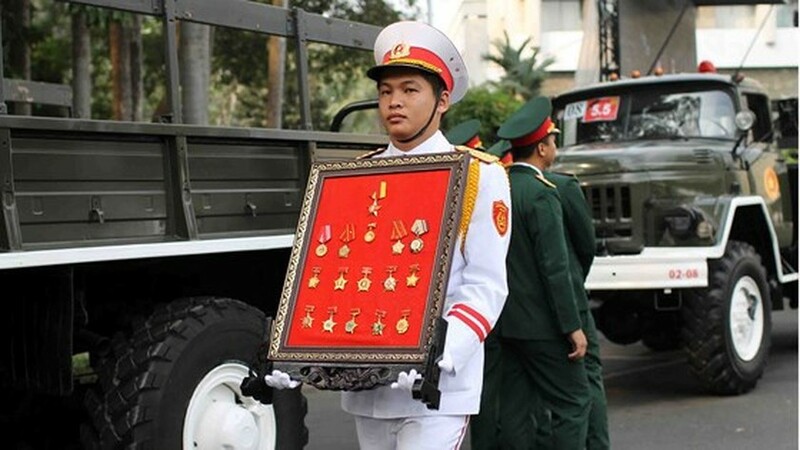 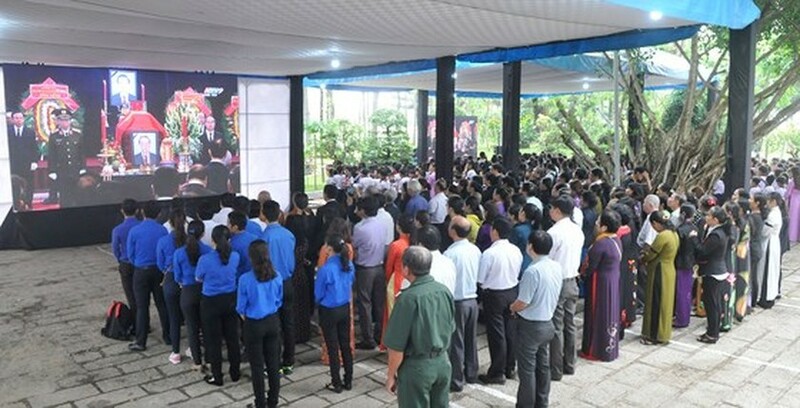 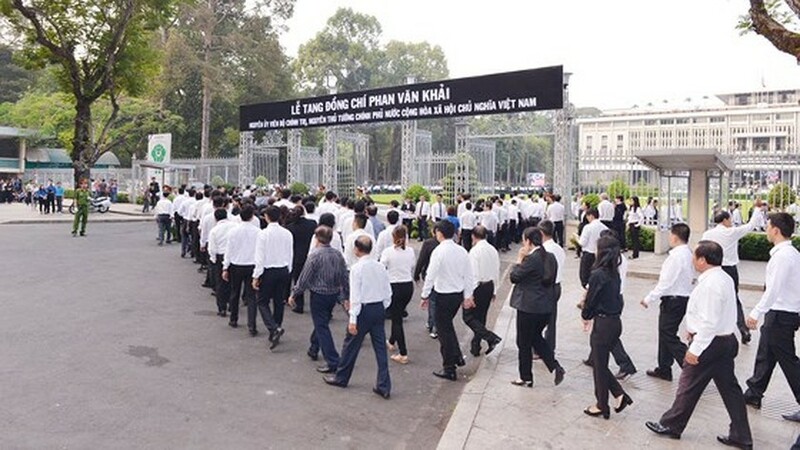 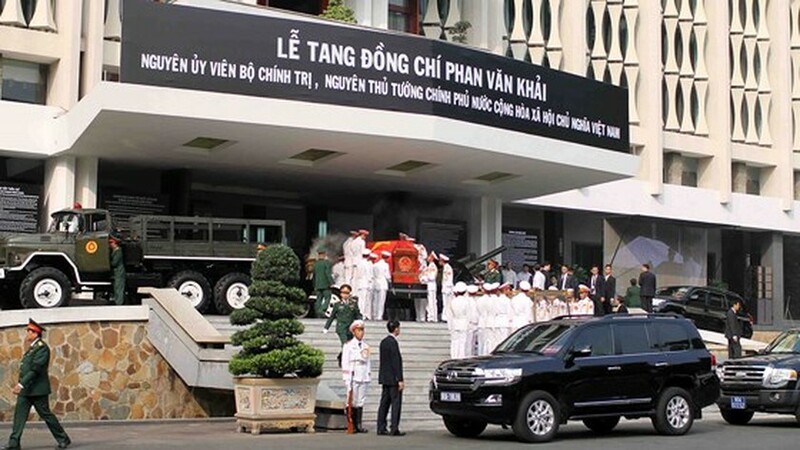 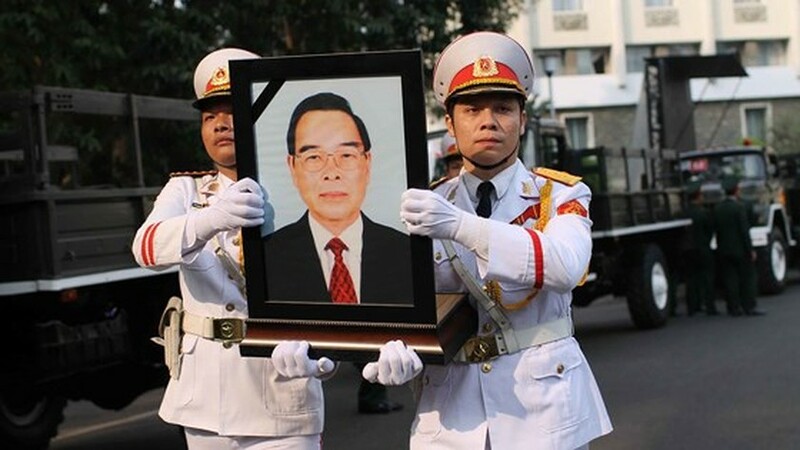 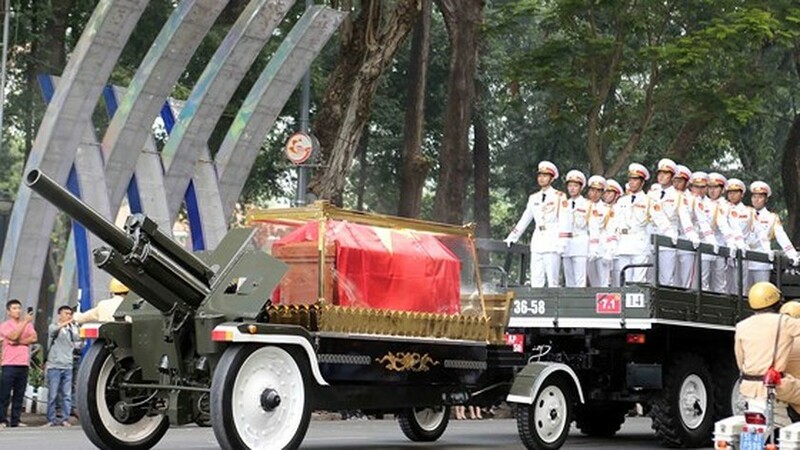 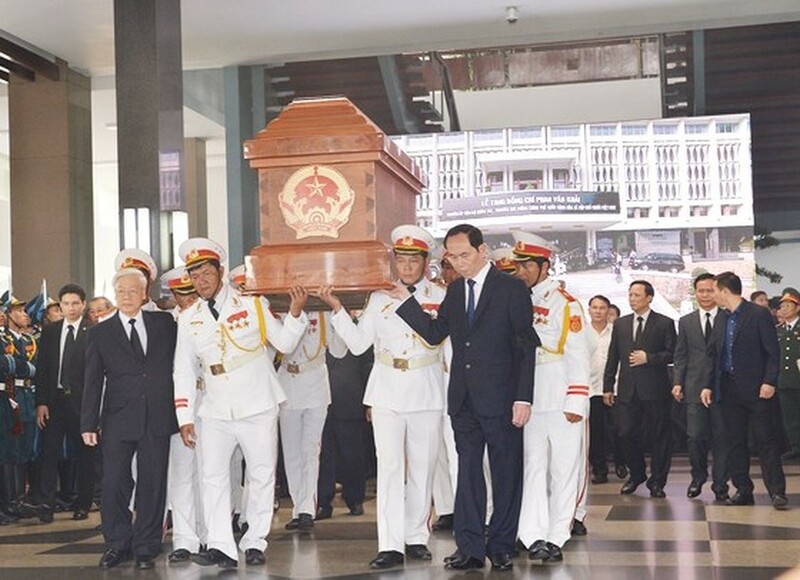 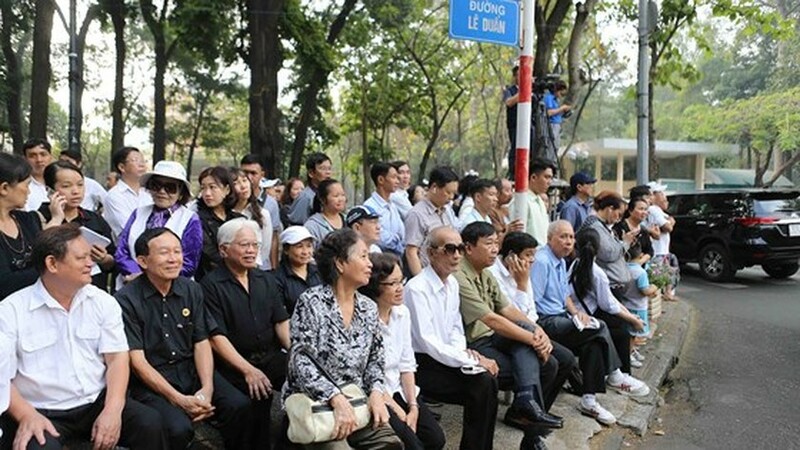 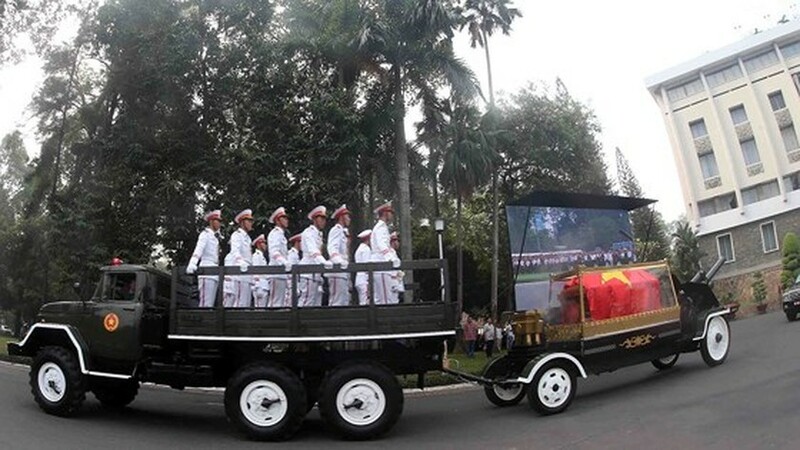 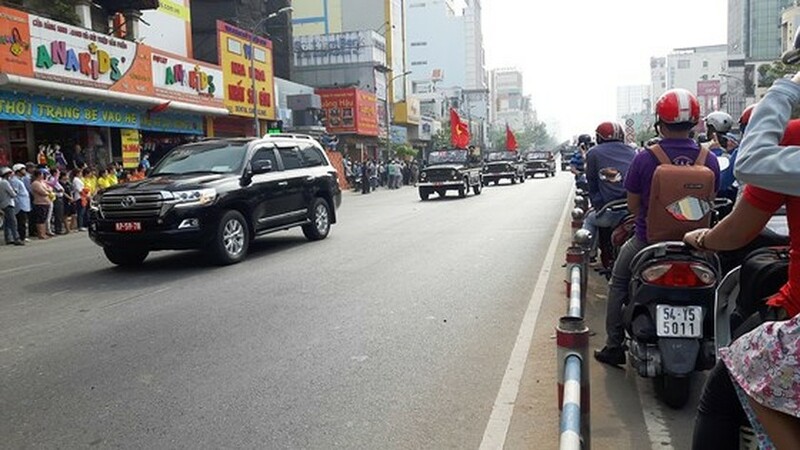 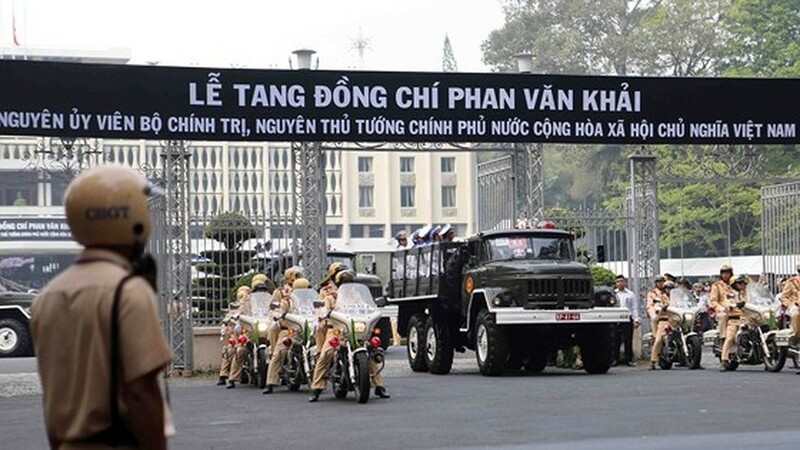 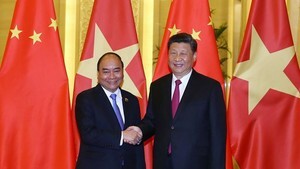 During past two- day funeral, around 2,046 delegations with 108,000 people who are representatives of foreign diplomatic agencies in Vietnam, organizations, localities, the armed forces, citizens, intellectuals, religions, domestic and international friends visited the Reunification Hall to bid last farewell to him . 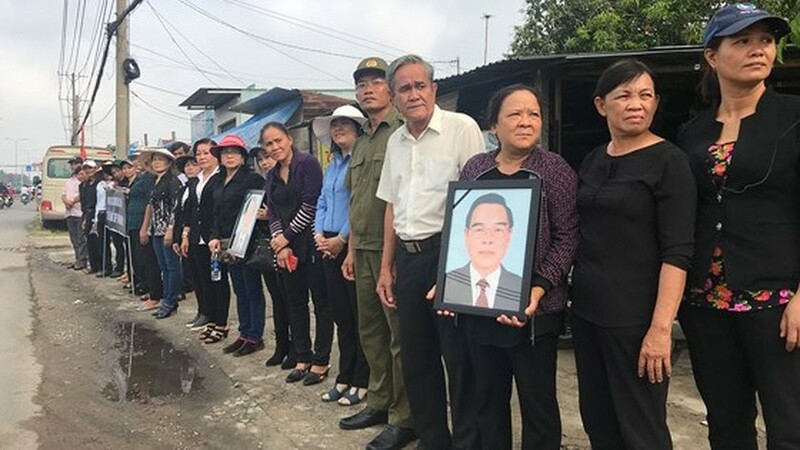 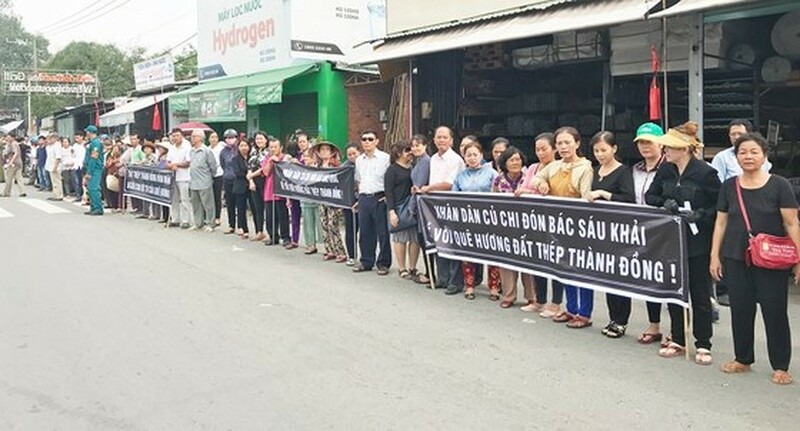 In the early morning, thousands of people gathered at the his home in Tan Thong Hoi commune, Cu Chi district to wait his coffin come back. 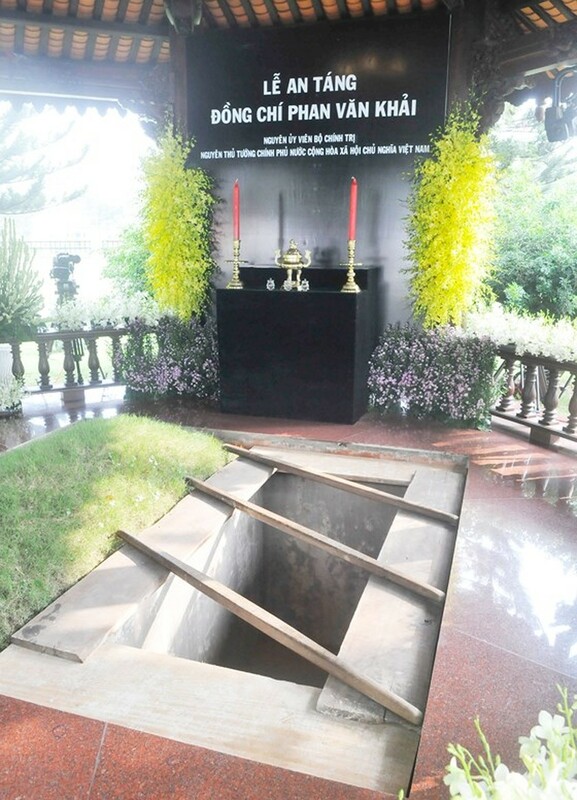 As his desire he will be buried next to his wife in the family cemetery in the commune.